Teachers enjoy two “new year” beginnings, one in January and one in September. So far, I have done a nice job maintaining several of my school year resolutions. I have been going to bed early and getting lots of sleep. I have been meal planning. I pick up the house a little bit each day and have been doing a good job of keeping up with laundry, avoiding the need to spend most of Saturday morning cleaning. Where I am slacking is when it comes to working out. I have not gone for a single run after school. The main reason for this is being in a new school with a new curriculum. Because I stay at school a lot later than I did last year, I head home to pick up Liam and avoid spending even more on after-school care than we already do. Liam has promised to start running with Banjo and me in the afternoon. While the runs aren’t long or fast, they include bonding and watching Liam set goals. This start to the new year has me thinking about my goals. I have my students email weekly goals. When they ask why they need to email me their goals and create a plan to reach them, I explain that a goal without a plan is nothing more than a wish. Sharing them makes them real. When I first decided to sign up for a half-marathon, my husband told everyone. I was not as excited to share the goal, mostly for fear I would fail and everyone would know. Once everyone knew I was planning to run two half- marathons in 2018, I had to make sure I was able to achieve this goal. Setting these goals makes me think a lot about what I want to achieve next year. Run a thirty-five minute 5K. I just finished reading Deena Kastor’s Let Your Mind Run. She talks about her goal of running a fifteen minute 5K. I’m focusing on my own goals. Cutting a minute off of my 5K PR would put me in the thirty-five-minute range. I would be happy with that. *In the time between my first draft of this and when I got back to editing it, I shaved forty seconds off my 5K, putting me at 35:59. Next goal is to make it to 34:59! Cut a minute and a half off my half-marathon PR: I know that isn’t a lot over 13.1 miles, but it would put me in a 12:29 pace. For some reason, dropping down a ten-second increment sounds likes an awesome goal! Do a handstand: I’ve been able to do a headstand for a few years and want to transition to a full headstand. I think a lot of it is mind over matter; I need to get over my fear and make it happen. This view makes it worth waking up at 5am! During my first round of BRG, my goal was to run the Gaspee Days 5k in under forty minutes. I managed to finish in 39:11, keeping a 12:39 pace. Less than a year later, I completed my first half marathon in 244:59, which averaged to a 12:36 pace. I was beyond proud of this. That same pace I struggled to maintain for 3.1 miles was kept for another ten miles. This summer’s plan was to train for a second half. It did not go as planned. It was a hotter than usual summer. I hurt my knee, putting a damper on the best intentions. When I did go out for my long runs, my pace was slower than before I began running. During last week’s 11.3 mile run, my pace was 14:59. Fear of being unable to complete the long runs prevented me from pushing myself. I struggled to determine whether this slip was physical, mental, or both. With one week to go until the half, I know I will finish. I know I will not PR, but I know I will be able to complete the race. Today was the Ocean Road 10k, which was perfectly timed for my tapering before the Newport Half. Set on Ocean Road in Narragansett, the race provides beautiful views! Because even my shorter runs have been slow, I went into today with low expectations. It was a beautiful morning surrounding my some of my favorite people in the world. We have different strategies for tackling races; mine involves intervals. The views were amazing. The crowd was positive and inspiring. I had some of my favorite people cheering for each other. 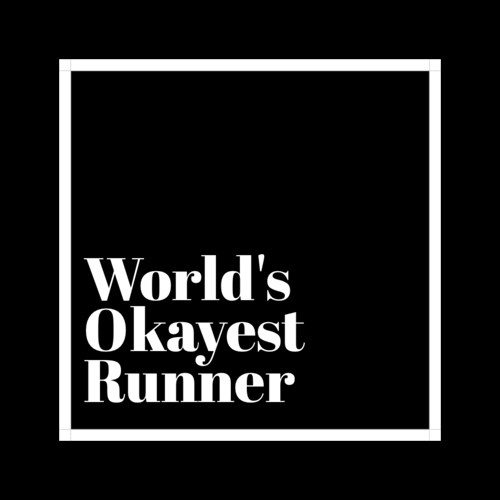 It is hard to believe that I have only been a part of this running community for less than two years; I am beyond grateful to the people who support me, encourage me, and inspire me. They have convinced me that I can conquer goals that I never would have considered for myself. I love surrounding myself with people who celebrate the successes of others. I cannot wait to see how what the years ahead of us hold! I hate to bake. I hate crafts. Basically, I hate any activity that involves closely following directions. When Mike and I first moved in together, he was amazed at my inability to put together IKEA furniture. I told him that this would only work if he helped me, which he happily obliged. We set off on Pinterest. He started off having much more faith in our abilities that I even had, wanting to make Hogwarts letters to send out to friends. Liam really wanted to give his friends wands. We had recently visited Wynotts Wands in Salem, where Liam chose his wand. He understood that we could not afford to buy each kid a wand. The bulk ones online were either too cheap or too expensive. Pinterest shared a tutorial for making wands that actually seemed reasonable. We ordered chopsticks, hot glue gunned the ends, then painted them. Liam was happy to help, and the finished products were pretty cool! We also made golden snitches and chocolate frogs. Liam began asking me to make the chocolate frogs on Monday. Knowing I could not be trusted with that much chocolate in the house, we needed to wait until Friday. We made a Quidditch court. Mike was happy to act as our Quidditch coach. The kids had a ball playing. I set up a table for “potion class” containing small cauldrons of baking soda and vinegar. They were about to mix the ingredients in their cauldrons and watch the reaction. Liam used to love doing this trick, but I feared that they would think it was silly or childish. Potion class was a hit! After potion class was wand class, in which the students needed to keep their balloons in the air. My only real goof-up involved the cake. I assumed I could order a cake from Stop and Shop a week before the party. I was wrong; they no longer carry the cake kit. Walmart does not have Harry Potter cakes, either. After Googling “easy Harry Potter cakes” for a while, I decided to order cupcakes from Stop and Shop and cake decorations from Amazon. It worked out just fine. After a week of making golden snitches, wands, and Quidditch courts, Mike began calling me his “Pinterest Princess.” While I don’t see myself doing this again, the process wasn’t terrible. I love Liam’s ownership in the planning. I didn’t mind doing the projects with him. I’m also painfully aware that the number of years remaining of planning birthday parties and Liam wanting to spend all of his time with Mike and I are dwindling. I need to make the most of it while I can.